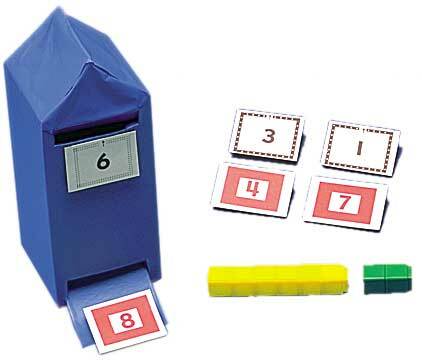 The Magic Box cards are used with a teacher-made “Magic Box” (see Mathematics Their Way, p. 249; Summary Newsletter, p. 10.22). Students generate subtraction and addition number equations. This activity also helps students develop the ability to “count on”. A package contains six sets of nine cards.